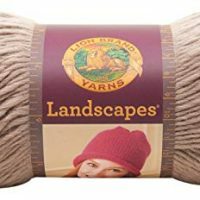 This beanie hat knitting pattern is an excellent project for anyone who is learning how to knit. 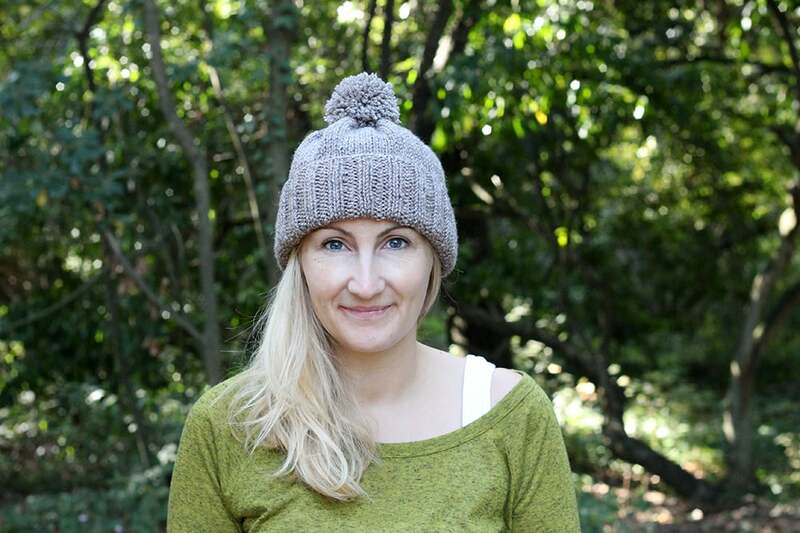 I wanted to share with you an easy hat to knit, that has a little bit of ribbing and a whole lot of slouch! Not too bulky and not too light, this hat is comfortable to wear on those fresh fall days. 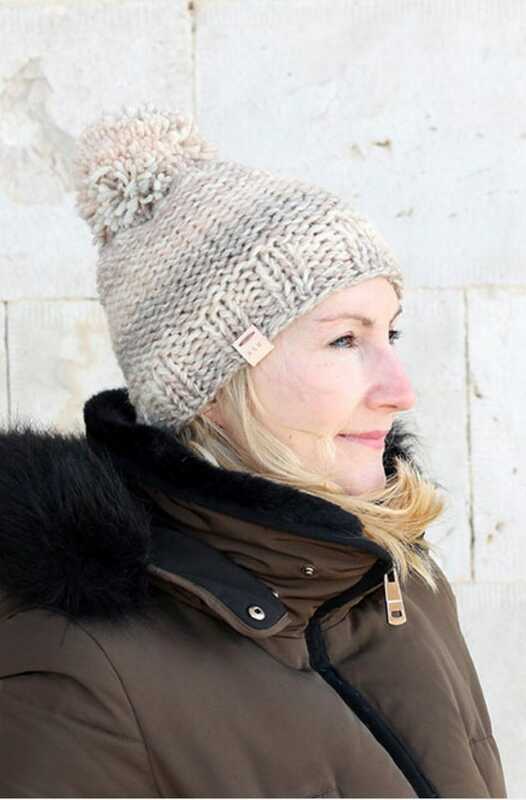 This knitted hat would take you around an hour or two to make (depending on how fast you knit!) and will be a cozy addition to your autumn wardrobe. I made the hat using Classic Alize Lanagold yarn in brown and knit on size 5.5 mm (US 9) 16″ circular needles. 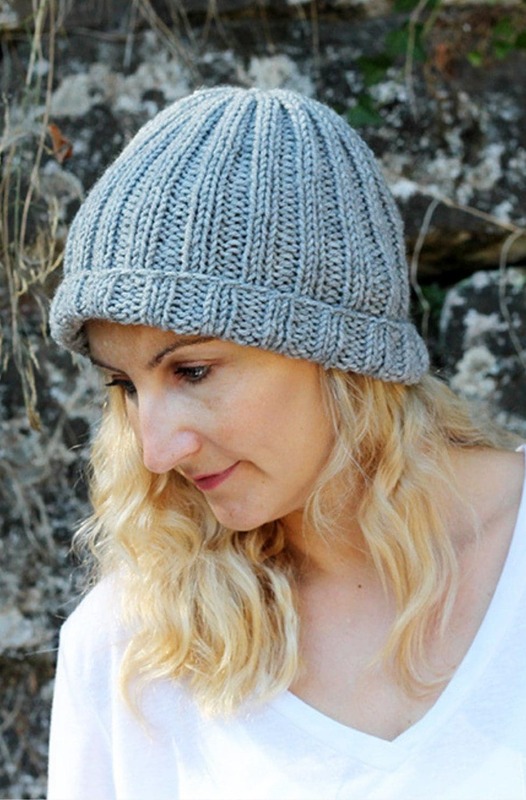 The hat can be worn as a slouchy beanie or with the cuff turned up for a better fit. This beanie knitting pattern is great for any beginners who are looking for an easy project, as it is perfect for practising the basic knitting stitches. For example, I cast on 80 stitches for an adult woman, but for a man, you may need to cast on 80 stitches or more. 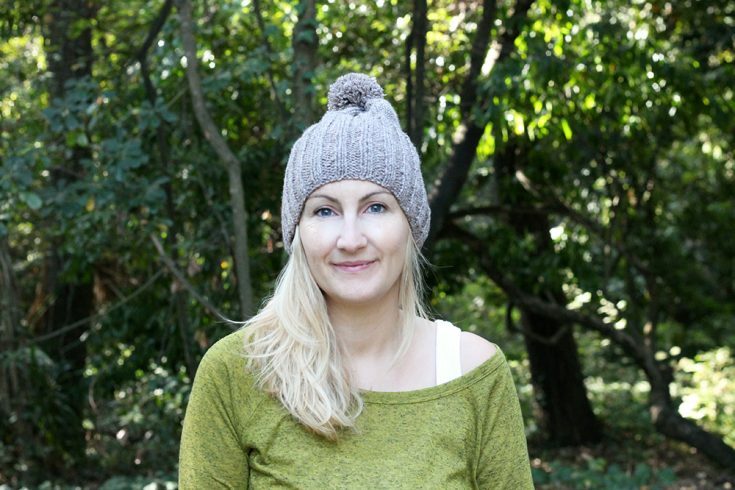 Make a really easy beanie with plenty of slouch that is perfect for those fresh autumn days! Knit every round until hat measures - B - 7.5, (T - 8, C - 8.5, A - 9) inches from the co edge. 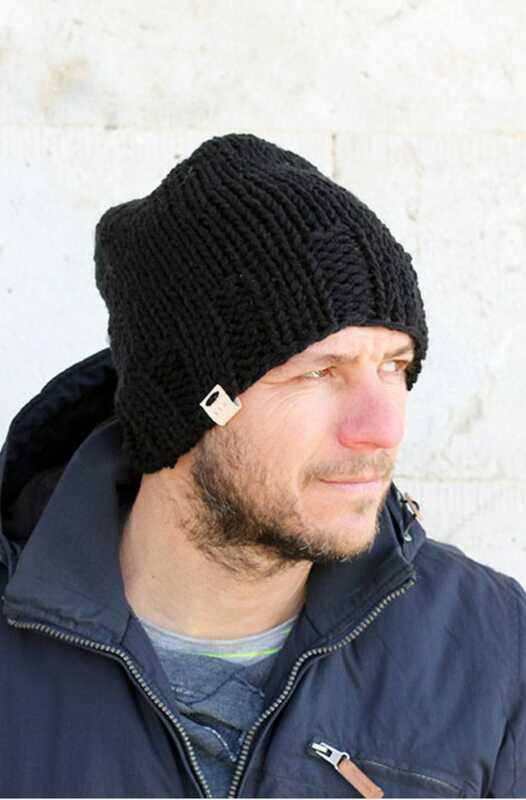 The hat will have a slouchy style from co edge. 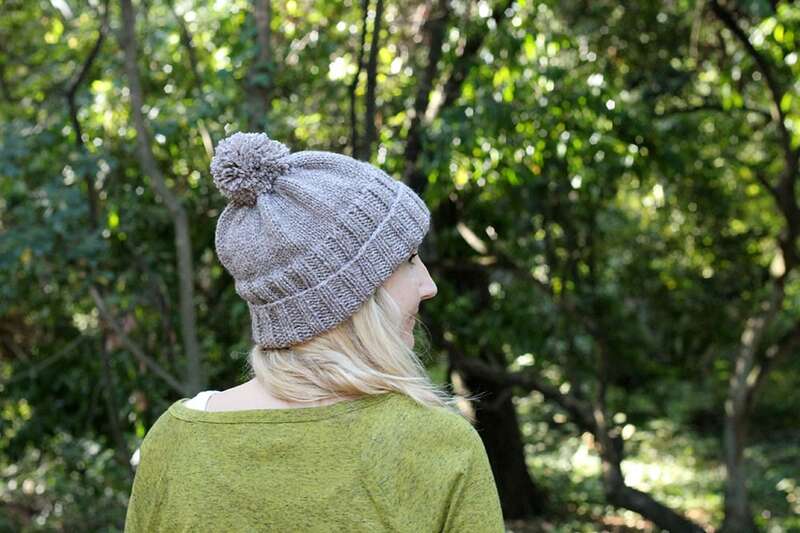 Add a pom to the hat and stitch into place. Height of finished hat (adult) - 10" this has a little slouch. If you don't want the hat to have slouch you can knit the height like this - 6, (7, 7.5, 8) inches. The hat will have a more fitted style.